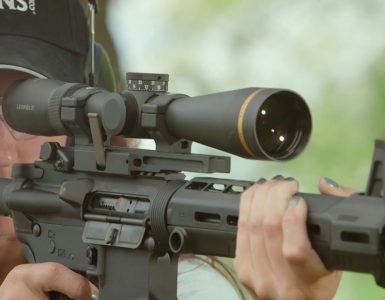 Spotting scopes are a must for any outdoors enthusiast. Whether you’ll need it for bird watching, or as an accessory for hunting, having one in your backpack can’t hurt. However, the downside to spotting scopes is that they’re often heavy and cumbersome, and cost quite a lot. Sure, for people who know that need one, that’s a compromise that’s worth it. However, for many, it won’t be worth it. But, what if you could have a spotting scope that isn’t very heavy or big, and doesn’t cost too much? That’s where the SVBONY Spotting Scope comes in. It’s a budget-oriented scope that comes in multiple configurations to suit just about anyone’s needs. But, is it worth it? Well, long story short, yes, it is. Let’s take a look at the details. First of all, we did mention it comes in a few configurations. When you’re looking at scopes, you’ll notice two numbers – the first one indicates the magnification factor, and the second one the lens size. With the SVBONY, you have 15-45x50mm, 20-60x60mm, 25-75x70mm and 20-60x80mm. The most all-round option here would be the 25-75x70mm. 25x is a good magnification factor for general use, while 75x lets you get really really close to your subject. With a 70mm lens size, plenty of light will enter the scope, ensuring good clarity and image brightness, and this should be the optimal lens diameter for all-round use. You might be thinking that a lens that big will result in a heavy scope, but that’s not really the case here. What is characteristic for many budget scopes is that the more you zoom in, the more image quality loss you’ll notice. Fortunately, with the SVBONY that isn’t the case. The image remains sharp and crisp throughout the zoom range, which is a welcome thing, especially for the price. Continuing with the internals, you will find a high quality BAK4 prism. This is barium crown glass which is used in many scopes nowadays, from budget oriented ones, to higher end scopes. It gives you a sharp, bright image, and has multiple layers of coating, all of which work together to ensure there’s plenty of edge clarity and overall resolution. You won’t find anything better in this price range, and for a general all-round use, this should work great. Moving on to the outside, let’s talk about build quality. The scope is completely rubberized, which is more or less to be expected with a product like this. First of all, that will ensure plenty of grip, even in sub-optimal conditions. You can be sure it won’t be slipping out of your hand. Second, even if you do happen to drop it, the rubberized exterior will absorb most of the impact. The whole thing is IP65 rated. Even though this won’t protect it in heavy rain, or if you drop it in the water, it does give you some protection in light rain. The scope is also nitrogen-filled, and sealed with O-rings, so it won’t fog up if there is a lot of moisture in the air. All things considered, you can absolutely use the scope in more or less any conditions. When you get the scope, you’ll also get a few things in the box with it. First, you’ll notice there’s a tripod. 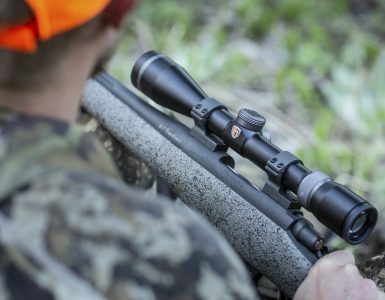 When you’re hunting, you might want to put the scope in one position and not move it around, and the included tripod should do the job. And, you also get a phone mount. The phone mount is useful if you’re one of those people who want to use it for photography. When you take everything into consideration, the SVBONY checks a lot of boxes. First, it should fit anyone’s budget, regardless of whether you’re getting the cheapest configuration, or the most expensive one. It also gives you a lot of bang for your buck, offering good image quality throughout the range, BAK4 prisms and stellar build quality. However, not everything with it is perfect. There are a few things that could be improved on it. To begin with, this is more or less a “generic” scope. The same body and specifications can be bought from various brands, with a different brand name printed on the body. This isn’t a bad thing, per se, but it might make you wonder about the quality. From what we noticed, you shouldn’t be worrying at all – the scope is truly a pleasure to use. The accessories included with it, however, not that much. Starting off with the tripod, it is extremely flimsy, and the screws started getting loose after a couple of uses. But, if you aren’t going to be using the tripod, or you already have a better one, this shouldn’t be any concern to you. The phone mount is well built and should hold a phone regardless of its size. But, there’s a small problem when you’re trying to zoom. The point where the bracket attaches to the scope is the same point where you’d be choosing the magnification factor. If you want to zoom with the phone still on, you’ll need to rotate the whole phone and bracket, which will rotate the whole image as well. The solution would be to set the zoom level before you actually mount the phone, but this isn’t how it should work, and it will get annoying after a while. On the other hand, if you only need the scope for watching, and not taking pictures, this shouldn’t concern you. Wrapping things up, if you’re on a budget, the SVBONY spotting scope will give you a lot of bang for your buck. 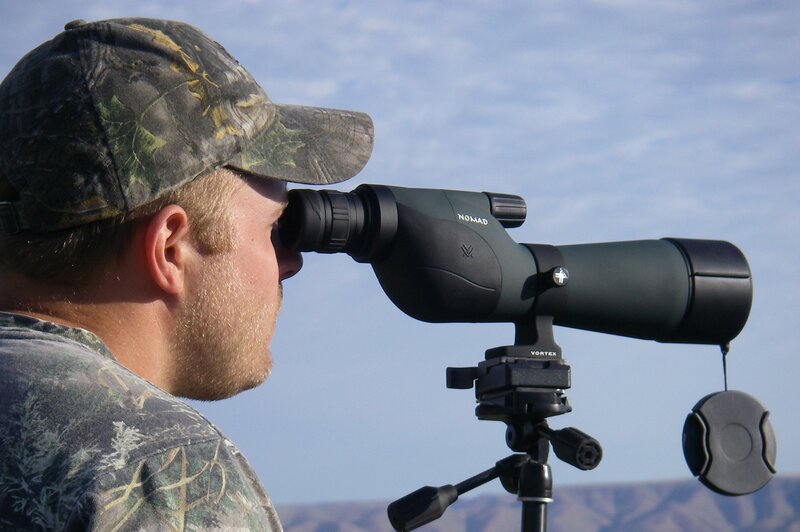 There are various options to choose from, according to what you need and want from a spotting scope, and the prices for all of them are very budget friendly. However, keep in mind that the included accessories aren’t that usable, and require a lot of compromises. If this is something you can live with, absolutely get it!